Wholesale in Vend – How can we help? If you are a retail store with a small wholesale facet to your business, Vend can help you track, manage and record wholesale stock and sales. While Vend is not a dedicated wholesale solution, it will only take a few minutes to set up your store to better allow for both wholesale and standard retail transactions. This article will walk you through how to set this up in a warehouse/back office. For information on how to process wholesale transactions in your brick and mortar store, click here. How do I setup my Vend account to sell wholesale? Important: The following steps are for people looking to sell wholesale from their warehouse/back office location. It assumes you already have an outlet setup for this and that you use a different device to the one you use at your brick and mortar store. If you are looking to sell wholesale directly from your brick and mortar store please read the following disclaimer. First, add a register to your warehouse location. 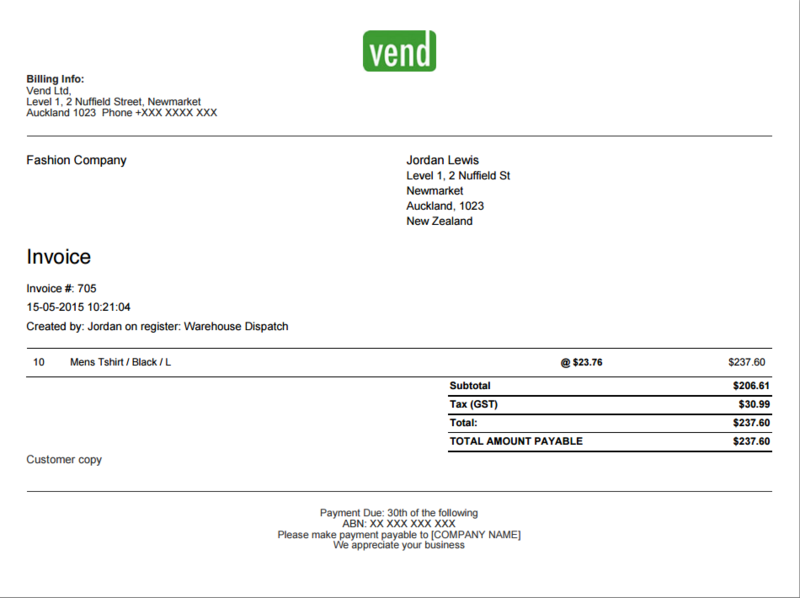 This is done so that you can track sales and create a customised receipt specific to your wholesale customers. To add a new register navigate to Setup - Outlets and Registers and select 'Add a Register'. If you have a separate outlet as well, you will be able to keep your inventory levels separate between your retail and warehouse locations. You will be taken to the new register setup page and asked to confirm the purchase of this new register. Next, you will want to set up a customer group. This is so you can group your wholesale customers and allow you to create discounts on a group-wide level. To create a customer group navigate to Customers - Groups and click 'Add Group'. Here you can specify the group name and group ID (these can be the same). Once you've added your wholesale group, you'll need to add customers to this group. If you only wish to add a small selection of customers navigate to the customer screen and edit the customers, you wish to change. In the edit screen, change the customer group to the one you've just created. export your customers as a CSV from the customer page. Open the CSV in your spreadsheet application and locate the 'Customer Group' column. 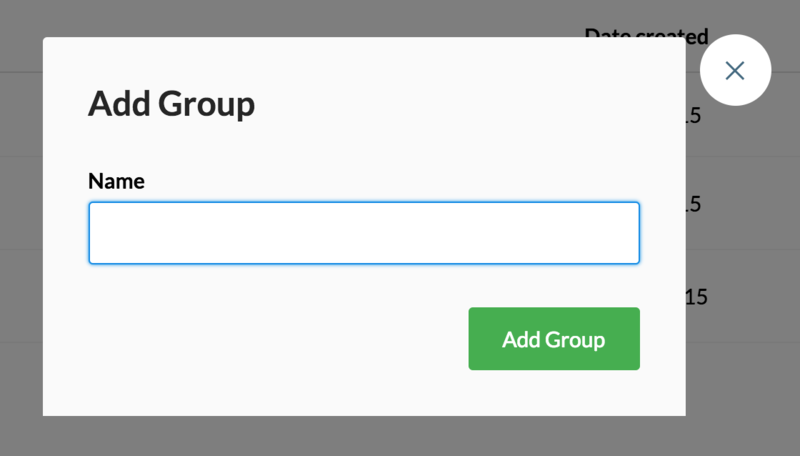 Put in the name of the group you've created in this column for the customers you wish to add. Important: Duplicate this customer CSV or perform a second export before making any changes. This way you will have a backup of the original in case of any problems in the future. Once this is done, we'll be ready to create a Price Book! Here we can add products and discount them for our wholesale customer group. To set up a Price Book, click the 'Product' tab, and select the 'Price Book' option. Name - In this case, we'll want to call the Price Book 'Wholesale'. Customer group - Select the wholesale customer group we just created. Outlet - Select your warehouse/back office outlet and ensure it's the same one you just added your new register to. Valid from and Valid to - Leave these blank to start the 'discount' immediately and continue it indefinitely. Sales involving this Price Book will be treated as 'discounted sales' and will, therefore, show the discounted amount on receipts. If you do not wish to display this on receipts, go to Setup - Outlets and Register and edit your wholesale register. Because the register you have just added is exclusive to your wholesale customers, you may also want to customise the receipt for this register. To do this navigate to Setup - Outlets and Registers and click 'Add Receipt Template'. You're now all setup and ready to sell! For details on how the wholesale process works in action check out the steps below. How do I sell wholesale? Once you have completed the setup above, selling to wholesale customers is easy. First, ensure your sell screen is clear and ready for the next sale. Then, make sure you are on your wholesale register. From the sell screen for your wholesale register, add a customer who belongs to your wholesale customer group, followed by the products they wish to purchase. You'll notice the products appear on the sell screen at the discounted price you specified in the wholesale price book. If the customer wants to pay this off at a later date or you wish invoice it through Xero, process the sale as an on-account. If you are taking payment immediately complete the sale as normal. Once you process an on-account sale, you will not be able to add more products to it. If you do wish to continue adding products over a period you should first park the sale and process it as an on-account only after you have added all the products. Caution: If you are processing wholesale sales in your brick and mortar store it is very important that you switch back to your normal register after processing any wholesale payments. If you remain on the wholesale register then all retail sales will be recorded on this register, and retail customers may receive the wholesale discount. Sometimes you may want to sell products from your retail store to wholesale customers. If this is the case, please follow the same setup steps above but ensure you switch back to your normal register after processing any wholesale payments. If you remain on the wholesale register then all retail sales will be recorded on this register, and retail customers may receive the wholesale discount.